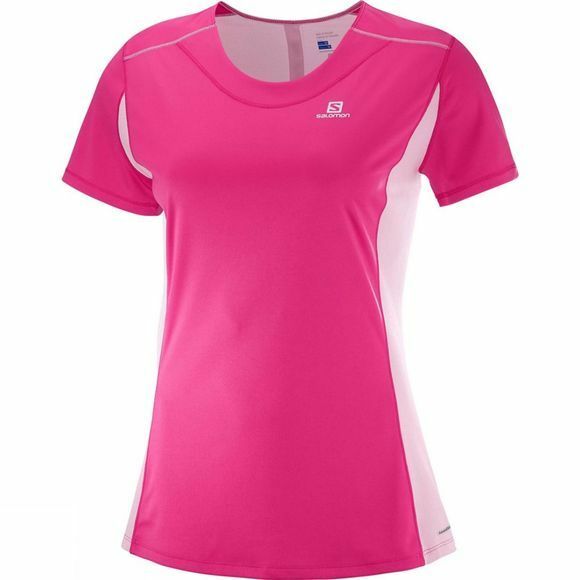 The Womens Agile Heather T-Shirt from Salomon is lightweight and technical. There's mesh under the arms and a gel pocket. 360° reflective details means it's well suited to both daytime and nighttime running.